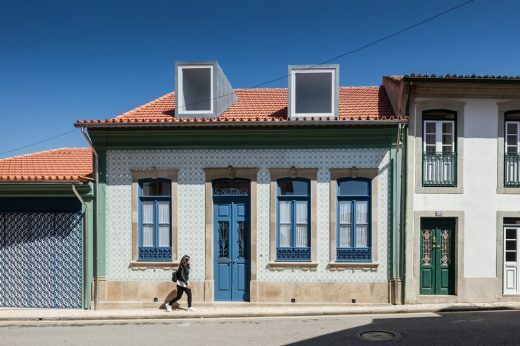 We’ve selected what we feel are the key examples of Portuguese Homes. 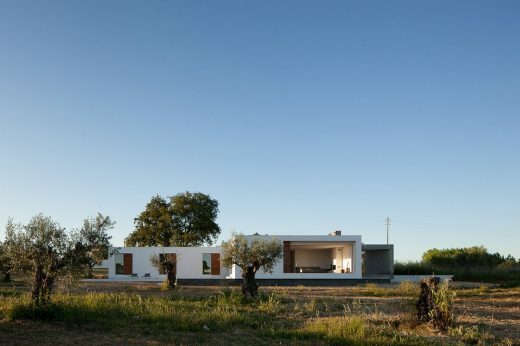 We cover both completed homes and new residence designs across Portugal. 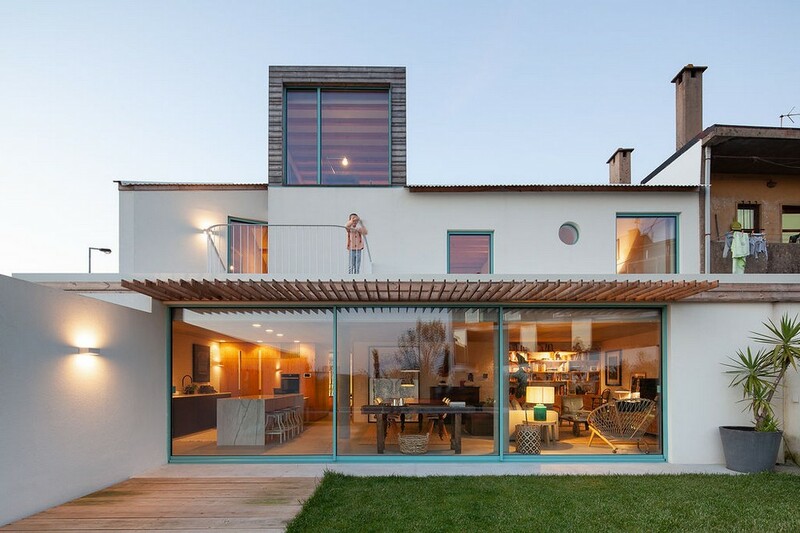 The focus is on contemporary Portuguese homes. 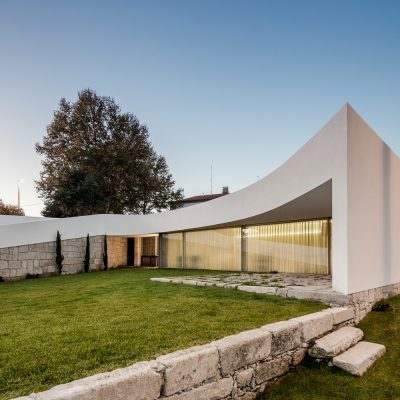 We have 2 pages of Portuguese Residential Architecture selections. Located on a site facing a narrow street characterized by small houses from different times, the building is a house in the classic sense. The recovery of the house aimed to introduce a series of capital gains that would enable its full utilization, in a completely current and according to the specific pretensions of a household that recently acquired the property. This property is located on a rectangular piece of land with a descending slope in the south direction (next to the public road). The difference in height between the highest point and the lowest point is approximately 4.50m. It is a farmland with a natural landscape, facing south and overlooking the Castle of Ourém. 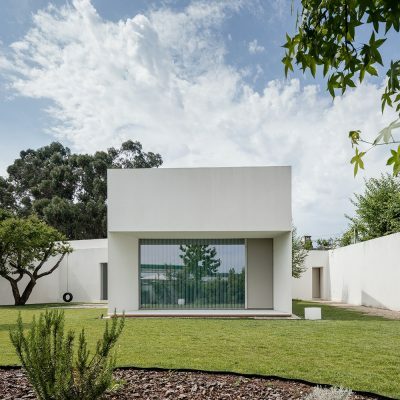 A clean-cut contemporary Portuguese property four km from the city of Santa Maria da Feira, on a triangular plot. 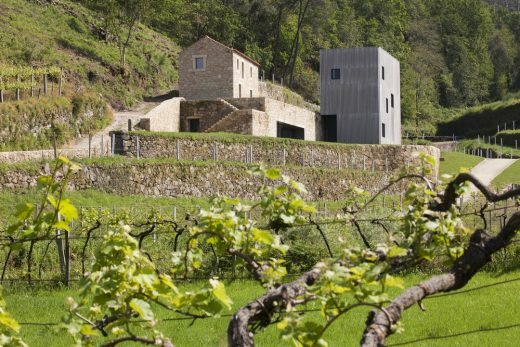 The architects maintain the pristine white angular forms try to work with the strong rural features. 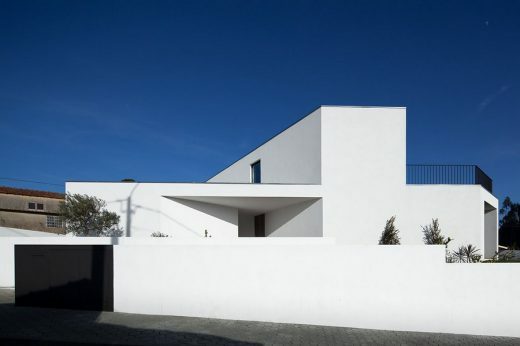 A single-family house on a plot of 1500 sqm. The architects maintained the squared stone well, an old fruit tree and the localization of pre-existing access. This residential building design addresses the relationship between the architectural object and four types of mobility. 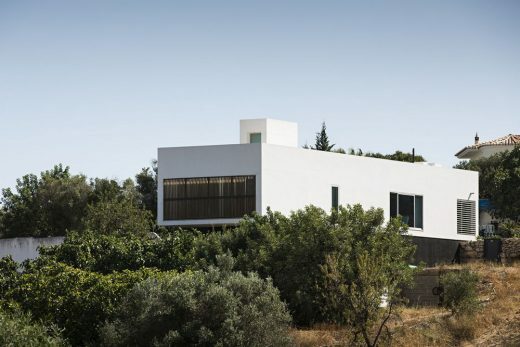 The home is placed above an intersection of the main roads in the Algarve. 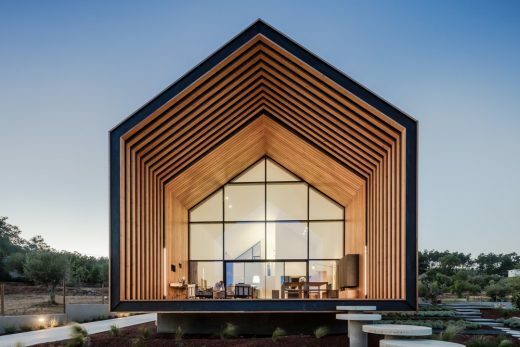 DT House is an example of applied energy-efficient principles in architecture. It’s a simple, compact object that integrates accessible construction technologies with innovative and smart design solutions. It demonstrates that energy effectiveness results not of the exhibition of means – technological or material – but of its capacity in answering rationally to the many requirements of human living.